Diamond Details Approximately 0.35 of 9 round brilliant diamonds. Categories: Engagement & Wedding | Raymond Lee Jewelers, Men's Jewelry, Rings. 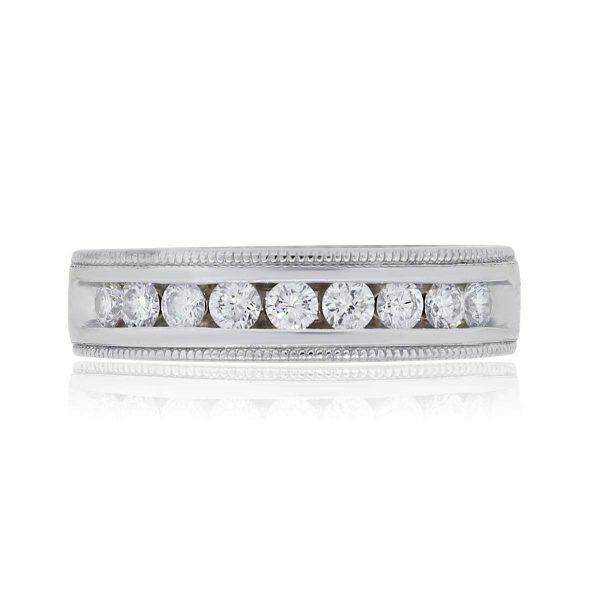 Tags: Diamond Wedding Band, gents wedding band, Wedding Band.